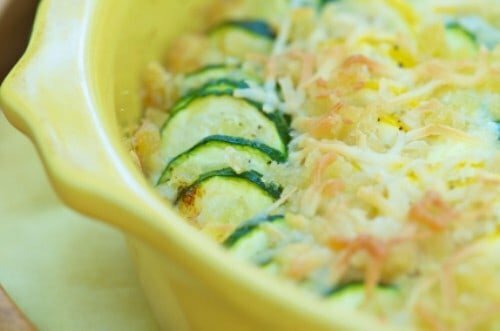 Home » Casserole Recipes » Squash Casserole – this makes a perfect side dish for a pot luck, or any night of the week. This squash casserole makes a perfect side dish for a potluck or any night of the week. Cut the squash into bite sized pieces. Boil squash and onion until tender. Drain and set aside. Mix the next set of ingredients together and add to drained squash and onions, and stir to combine. Place mixture into an 8x10 casserole dish and bake @ 325-350 for 20 minutes until bubbly. Remove from oven and sprinkle cracker mixture over the top. Return dish to oven and bake for 15 minutes until brown.